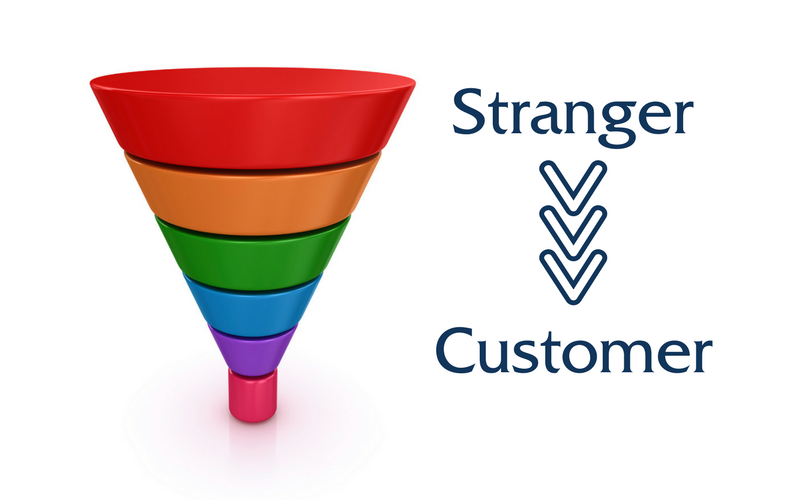 The best sales funnel strategy helps a stranger become a customer. That’s the purpose of your website, after all; if your website helps a stranger become a customer, it doesn’t matter how ugly it is, or what fonts you use, or what kind of CMS or fancy plugins you use. If your digital platform helps a stranger become a customer because of a solid online sales funnel strategy, your website is a win. A sales funnel is a series of steps that communicate to your customer in the language of the different stages that your customer goes through, from discovery all the way through to purchase. Your online sales funnel strategy is a map of all the digital infrastructures that guide a stranger through the journey to becoming your customer. You can use any of these methods individually, but I like to look at my funnel through the lens of each of these three. The action, the page, and the emotion are all relevant pieces of each stage; by looking at the continuum of the sales funnel, from start to finish, through these frameworks, you can identify ways to smooth the transition from one stage to the next. That’s the ultimate purpose of a sales funnel, in the end – identify and remove any friction that could keep a stranger from becoming a customer. As I said before, there are infinite variations on this framework, but this is a general the outline to get you started. Blog – Someone clicks on a link on social media, and they end up on your website, reading an article you’ve written. This is not the place to sell to them. This is the place to gain their interest. About – When they are interested, they go the most highly trafficked page on your website – the About page. This is where people go when they wan to know more about you, and what you do. Subscribe – Your qualified prospects find your call-to-action intriguing, because they face the major problem that your product or service solves. They agree to let you into their inbox. Thanks – Whatever free PDF or opt-in incentive you’ve offered is delivered to them. This is the best place for introducing yourself in a deep and meaningful way, setting the stage, letting them know how often you will email them, and how to find and follow you on social media. Services – after a few educational emails that deliver good value, they have a hunch that they could work with you. They open an email from you about your gateway offer, they decide to research you, and they read the specifics about your rates and terms. Checkout – This is where they buy. Please note: they do not buy from you at earlier stages in the online sales funnel, so don’t sell to them there. You should reserve your sales messages for people who have advanced far enough in your sales funnel that they know, like, and trust you. While you can make a sales funnel in your own WordPress website, there are online platforms that make page creation, email integration, and lead magnet delivery a breeze. Caelan understands how to balance beautiful design with the hard reality of maximizing conversion rates. If you only have 8 seconds to capture the lead at the top of your funnel, use someone who knows what they’re doing. Your whole business depends on it. I am an American expat living in New Zealand, and I have spent ten years running an online business while traveling the world with my young family. I'm a website designer, copywriter, and sales strategist who specializes in creating online courses and sales funnels for bestselling authors, business coaches, and professional public speakers. I am an American expat living in New Zealand, and I have spent ten years running an online business while traveling the world with my young family. I'm a website designer, copywriter, and sales strategist who specializes in creating online courses and sales funnels for bestselling authors, business coaches, and professional public speakers. I help stars shine brighter. This self-audit will take approximately 15 minutes to complete. 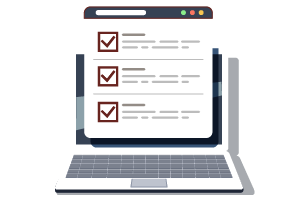 You should open your website in a new tab, so you can review your homepage to answer the 48 questions on the following pages. This is the website we are going to audit today. Is your logo professionally designed? Did someone with proven graphic design skills make your logo? Does your logo display at the exact same size as the image file? If your logo image is being dynamically resized by the browser, it slows down your sitespeed and can make your logo look fuzzy. Ctrl+Click on your logo and click on ‘Open Image In New Tab.’ Is it the same size? Does your logo have alt text with your brand name or a specific keyword set? Hover over your logo with your cursor. Does a little yellow box show up displaying text? Is there a high quality photo clearly visible above the fold? This photo can be of you, or your service, or people using your service, or a professional illustration. Does your imagery visually convey the experience your customers hope to have? Can your customer see themselves attaining what is in this photo? Does the imagery visually showcase who you are and what you do? A picture is worth a thousand words. Does this picture tell your story? What is the single most important action for a user to take on your website? If they do this one action, the visit to your website is a success. Is there an easy way for them to take this action? Can they take this action directly upon landing on your homepage, without scrolling? Is there a clear, simple description of the benefit for taking this action? If this was your first time visiting the website, would you be able to tell right away what the benefit of taking this action would be? Do you have more than 2 fonts, or more than 3 brand colors, visible on your homepage? Having the same fonts and colors in your logo and your website gives branding cohesion. Does your brand have one primary, main color? Is there a color in your logo that is used widely throughout your website? Are your headings or element backgrounds using this color? Is this color used in backgrounds, section fills, heading text, or icons? Is your navigation bar organized with single-word top-level headings? Are users given a limited number of simple options to choose from in selecting pages to visit? If you have dropdown navigation, has it been designed to match your branding and layout? Is the dropdown navigation menu the default style of the theme, or has it been customized? Does the design of your nav bar complement your homepage design? Does the navigation blend into the design, instead of standing out awkwardly? Does your website take more than 5 seconds to load? Is your pagesize over 1MB? Does your homepage take more than 10 seconds to load on a slow connection speed? Do you have Google Analytics set up on your website? Do you have Google Webmaster Tools set up on your website? 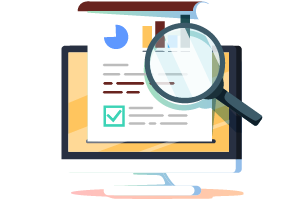 This gives you critical monitoring data about your website, and also provides details left out by Google Analytics, such as backlinks and searches people use to find you. Does your homepage rank on page 1 of Google for a search of your brand name? Ideally, you should rank in position 1 of page 1. Does your website look good on mobile? Pull one edge of your browser window to the side, to make it narrow. Does this look like a decent website? Do mobile users only have to scroll vertically to see all your website content? Horizontal scrolling is not easy or fun on mobile. Does your mobile website load faster than your desktop version? Have you tested for how your homepage looks when shared on Facebook? Does your homepage have a featured image optimised for Open Graph? Your Open Graph featured image should be 1200x630. Does your headline and description encourage people to click? Are users (and Google's spiders) able to click directly to your social profiles from the homepage? 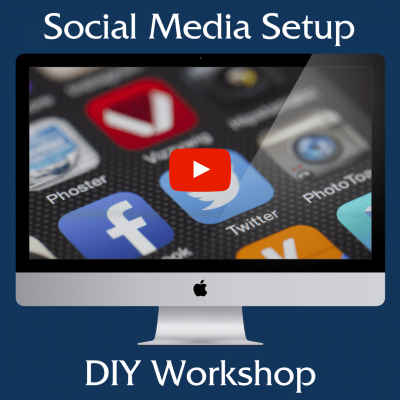 Do you have links to your homepage on your social media account profile descriptions? On your Twitter page, Facebook page, etc. do you have links coming back to your homepage? Do you have sharing buttons for your articles and blog posts? Can people easily click a button to share your content? Have you submitted an .xml sitemap to Google? This gives Google a list of your website’s pages and links. Check at Webmaster Tools -> Crawl -> Sitemaps. Do you have 404 errors that need to be fixed? Check here: http://www.brokenlinkcheck.com/ or go to Webmaster Tools -> Crawl -> Crawl Errors. Do you have a robots.txt file in place? Do you have a defined set of keywords you want to improve your ranking for? Have you worked with an SEO professional to determine what keywords you should be targeting this year? Do you know what your highest traffic pages are? Other than your homepage, where do people land the most on your website? Do you have Goals set up in Analytics? Goals give a defined outcome to an action, allowing you to track Conversions. Do you have contact info - phone number and address - in your footer? Or in another place on your homepage? Is your contact info written as structured data with schema markup? Do you have Google My Business set up? 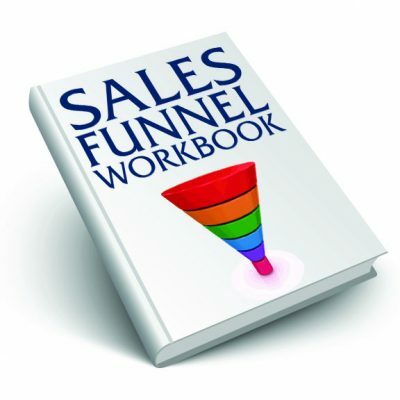 Have you tested the progression through your sales funnel as a new website visitor? Or, have you watched silently while someone else does it? Are all steps along the pathway consistent with your visual branding? Email confirmation pages, shopping cart checkout pages, or thank you pages - do they all share the same visual look and feel as your homepage? Are there transitions that have technical glitches? Are there known issues in your subscription or purchase pathways? 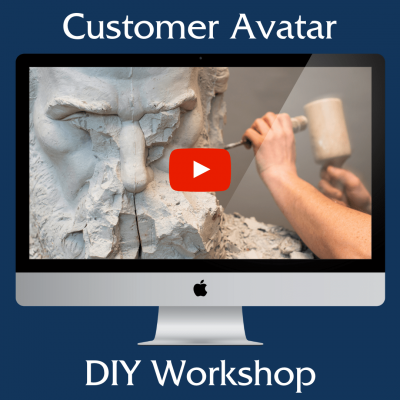 15 - Is the content of your homepage targeted to your Customer Avatar? Is there a simple and clear statement on your homepage that describes the problem you solve, and who you solve it for? Does the right person get to your website and say, “Yes, this is just what I need!” or do they need to dig deeper in your website to find out? Have you done competitive research to review what others are saying on their website? Can you list 5 competitors? Do you review their homepages regularly? Are the headlines the result of multiple revisions? Did you write your headline once, and publish your first draft? Or did you write 10+ versions of the headline to find a good one? 16 - Do you have any dynamic content on your homepage? Does it only change when you manually edit it? Is there a blog feed or section on your homepage that is updated whenever you publish a new post? Is there some section of your homepage that updates whenever a new piece of content is added to your website? Does Google get automatically notified when your homepage changes? Dynamic homepages rank higher in search engines. Congratulations! You've made it through the 16-point Homepage Audit. Would you like to receive an email copy of your answers? Would you like to receive a PDF of your audit? Would you like to subscribe to the Stellar Platforms newsletter? I’m just starting out and haven’t made my website yet. I've got a website, but I don’t have much of an email list. I have a website and a list, but I need to grow my business. My website, list, and business are large and successful. What platform do you use for your website? How is your website built? Where do you get the most valuable, actionable information about websites and blogging? Roughly, what's the overall size of your business sales in annual gross revenue? Who is your customer or demographic? What are the key trigger words that let you know someone is the right match for your business? What do you LIKE the most about having a website? What do you DISLIKE the most about having a website? Where are you struggling with right now? Finally, I may want to follow up with a few people personally to learn about your situation. If you'd be open to chatting for a few minutes on the condition that I promise not to sell you anything - please leave your name and phone number below. Subscribe to the Stellar Platforms newsletter?